The Ministries Council of the Cooperative Baptist Fellowship is meeting this week in Decatur, Ga., to look back at the council’s inaugural year of work and to cast a vision for the next year. 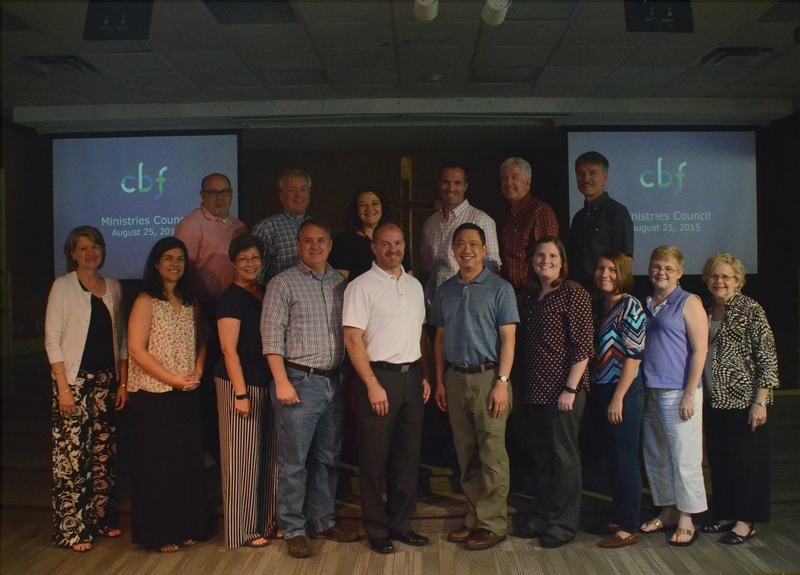 An elected advisory body to the CBF Governing Board, the Ministries Council collaborates with Cooperative Baptists to identify, develop and deploy the assets of the Fellowship and to empower shared ministry networks. Emily Hull McGee, senior pastor of First Baptist Church on Fifth in Winston-Salem, N.C., is the new chair of the council for 2015-2016. During the opening session on Monday, she expressed her gratefulness for the council and offered a word of encouragement. The Ministries Council focuses on four areas of work: supporting congregations, equipping ministers and lay leaders, nurturing young Baptists, and cultivating partnerships and encouraging advocacy. The council also oversees CBF grants to support ministers, lay leaders and young Baptists. View a list of Ministries Council members for 2015-2016 here. You can also view photos from the council’s meeting here.